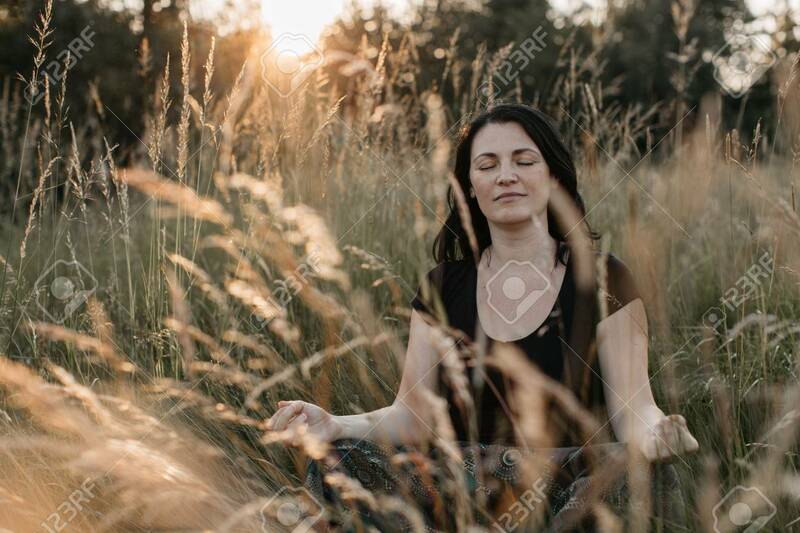 A Portrait Of A Woman Sitting In Tall Grass With Her Eyes Closed And Meditating At Sunset. A Woman Relaxing In The Nature. Фотография, картинки, изображения и сток-фотография без роялти. Image 103306424. Фото со стока - A portrait of a woman sitting in tall grass with her eyes closed and meditating at sunset. A woman relaxing in the nature. A portrait of a woman sitting in tall grass with her eyes closed and meditating at sunset. A woman relaxing in the nature.